An interview with Jane Mayer conducted December 28, 2012 and July 24, 2013 by Ronald J. Grele for the Columbia Center for Oral History, Rule of Law Oral History Project. 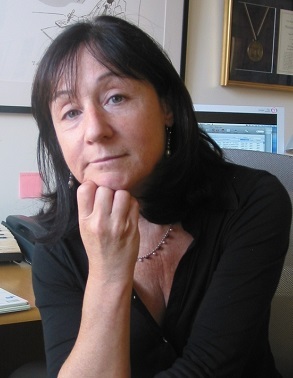 Politics and instinctive timing have always been central to Jane Mayer’s career as an investigative reporter, which has taken her inside the 1983 Beirut Marine barracks bombing, President Ronald Reagan’s tumultuous second term, the collapse of the Berlin Wall, and the Central Intelligence Agency’s interrogation and torture programs, among others. Highlights of this interview include discussions of Mayer’s experiences writing the books Landslide, Strange Justice, and The Dark Side, sexism in the world of journalism, working as staff writer for The New Yorker, her discovery of the U.S. government’s use of SERE [Survival Evasion Resistance and Escape] tactics in interrogations, the Bush administration’s War Council and renditions in Sweden, the Obama administration’s relationship with journalists, and the importance of facts and ethics in modern Washington politics and the digital age.